Not just since the case against the former personal attorney to the President, Michael Cohen, who famously pled guilty to tax fraud in 2018, have tax fraud charges become more of a national phenomenon in federal criminal cases. Unlike in the past, when the government focused its investigations against those tax payors that simply did not provide truthful information about their income, a plethora of current prosecutions suggest that tax preparers and CPAs themselves are increasingly targets of grand jury proceedings and federal criminal prosecutions. Attorney Dr. Nick Oberheiden, who successfully avoided any charges against his client in the Michael Cohen case, has substantial experience representing individuals and targeted businesses against accusations of tax fraud and related charges such as bank fraud, mail fraud, wire fraud, mortgage fraud, and investment fraud. Together with a team of former high-level DOJ officials, Dr. Oberheiden offers free and confidential consultations to those concerned about or affected by tax fraud allegations. 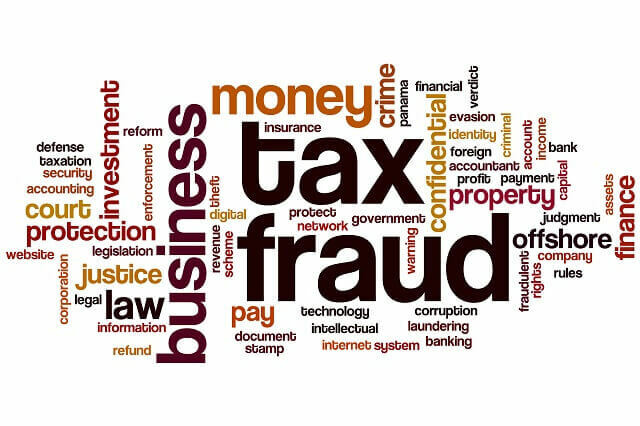 Carl Nicholson, a certified public accountant from Hattiesburg, Mississippi was indicted in July 2018 for one count of conspiring to defraud the United States, four counts of filing false tax returns, and six counts of aiding in the preparation of false tax returns. According to the indictment, Nicholson is believed to have conspired with a local attorney for purposes of filing false tax returns for the attorney by deducting the attorney’s personal expenses as business expenses. The indictment also alleges that Nicholson engaged in falsifying his own tax returns. If convicted, Nicholson could be facing a prison sentence of up to five years. A certified public accountant in San Francisco was convicted of tax fraud by a federal jury in July 2018. The trial lasted three weeks in the Northern District of California. Marc Howard Berger, of Walnut Creek, California, was a CPA and partner of a regional tax preparation firm. According to evidence presented at trial, Berger assisted a CEO of a local capital investing firm prepare falsified tax returns, resulting in the underpayment of $4.7 million in due taxes. Also, with Berger’s help, this CEO did not pay income taxes for the years 2009 through 2013. Berger is awaiting sentencing and faces a maximum of three years in prison for each count for which he was convicted. The CEO Berger conspired with has plead guilty to one count of investment-advisor fraud and one count of tax evasion. In August 2018, a federal grand jury indicted a real estate company and its accountant for their alleged roles in a scheme to defraud financial institutions in connection with certain foreclosed properties in Minnesota. According to the indictment, Detloff Marketing and Asset Management, Inc. and its accountant, Lori Detloff initiated a plan to require repair contractors to issue kickbacks to Detloff. In return for the contractors paying kickbacks, the real estate company used its position to steer housing repair contracts to contractors who would pay the kickbacks. In addition to the kickback allegations, the indictment also alleges counts of wire fraud and mail fraud against Detloff Marketing and Asset Management, Inc. and Lori Detloff. The maximum penalty for wire fraud affecting a financial institution, mail fraud affecting a financial institution, and conspiracy to commit mail and wire fraud affecting a financial institution is 30 years of imprisonment and a fine of $1,000,000. A federal grand jury in Miami, Florida indicted a Miami based CPA for multiple counts of tax fraud in April 2018. According to the indictment, Darryl Sharpton, who owned a public accounting firm, failed to pay income tax for the years 2008-2016. The indictment further alleges that after the IRS audited Sharpton and levied additional penalties against him for his unpaid taxes, Sharpton removed himself from his company’s payroll and continued to lie to IRS collections officials regarding his unpaid taxes. If convicted, Sharpton could face a sentence of five years in prison for the tax evasion charge, five years in prison for each count of failing to pay over payroll taxes, and one year in prison for each count of failing to file tax returns. Approximately 40 federal agents from the IRS and the FBI with the support of local police executed a search and seizure warrant against a Dallas, Texas based tax law and tax accounting office in February of 2018. While this case is still under investigation, according to public reporting, the client files of hundreds of clients were seized and are currently reviewed by federal special agents. How Did Other Oberheiden, P.C. Clients Learn that They Are Under Investigation for Tax Fraud? The majority of clients come to Oberheiden, P.C. after they were formally notified that they are subject to an investigation. In most cases, the registered businesses of tax preparers, CPAs, and other tax professionals receive a grand jury subpoena, which orders them to produce certain specified documents such as tax returns, bank statements, income statements, or corporate documents. Other clients report that they were visited by IRS agents with a request for an interview. Another large group of accountants call Oberheiden, P.C. out of an abundance of caution when they became aware that one of their customers is being prosecuted for tax fraud. Although less common in tax cases, the government, in particular in recent times, has also utilized the tool of a federal search and seizure warrant to secure potential evidence from an accountant’s office after having obtained the approval by a federal magistrate judge. What Should You Do When You Receive a Grand Jury Subpoena? We cannot emphasize enough how important it is to seek legal counsel as soon as you develop concerns or have reason to believe that you or one of your clients is under IRS investigation. So much more can be done to help clients at the beginning of an audit or investigation while, at later stages of an investigation, the means to undo mistakes or to regain missed opportunities are significantly slimmer. Because tax fraud and tax evasion are federal crimes, these offense types are investigated by the IRS Criminal Investigation Division and the Federal Bureau of Investigation and prosecuted by Assistant United States Attorneys either from the Department of Justice or one of the 95 local U.S. Attorney’s Offices spread across the 50 U.S. states. A defendant convicted of tax fraud at trial or a defendant who decided to plead guilty to tax fraud must expect harsh penalties. Pursuant to Title 26 of the United States Code, a defendant guilty of tax fraud will be ordered to not more than 3 years imprisonment, a term of supervised release of not longer than 3 years, a fine not to exceed $ 250,000; asset forfeiture, and a mandatory special assessment. The exact exposure depends on the amount that was owed to the IRS. The more money was non-reported, the higher the sentence expectation. All sentencing calculations are subject to complex mathematical analysis under the Federal Sentencing Guidelines and consider, besides the damage amount, the defendant’s prior criminal history, the motivation for the offense, the restitution already paid, and a variety of other factors tailored to the circumstances of the offender. What Is the Statute of Limitations for Tax Fraud? In criminal tax evasion investigations, the Statute of Limitations is typically three years. However, if the IRS audit reveals that more of 25% of your income had been concealed, the SOL extends to six years. What Are the Steps of a Tax Fraud Investigation? Like all federal cases, tax fraud investigations occur in several stages. Starting with a complaint or a lead, IRS agents begin to investigate a case by interviewing potential witnesses, requesting documents to be produced, or sometimes also by way of surveillance. Once the agents believe to have sufficient information to confirm the validity of a lead, they will approach an Assistant United States Attorney (AUSA) to formalize the investigation by either issuing subpoenas to witnesses or targets or to request the testimony before a grand jury. In a process that can easily take months, sometimes years, the job of the grand jurors then is to assess the gathered written and testimonial information to ultimately decide whether or not to indict the targeted individual. How Can Accountants Get Entangled into a Federal Conspiracy? Accountants must realize the dangers of becoming entangled into a federal tax fraud conspiracy. Federal prosecutors like to charge federal cases by way of a conspiracy because it allows them to glue various defendants together into one case by simply arguing that each of those defendants contributed something to the overall success of the tax fraud scheme. Importantly, the law does not require that all defendants explicitly agreed to defraud the IRS. Similarly, defendants do not need to know all aspects of the fraud. Decisive is that they worked in concert and everyone added an overt act. The only request we have is for you to contact our firm as soon as possible. The moment you become aware of an audit or investigation, whether you heard rumors or received a government subpoena, you should immediately seek the advice of attorney Dr. Nick Oberheiden and his team. The earlier your attorneys can assist, the earlier they can provide clarifications to the government or work on a resolution—the disproportionately higher your chances to escape a formal prosecution.